How can you be confident of buying the right property, in the right location, at the right price? You don’t have to hear the roar of the crowd at the Melbourne Cricket Ground or wake up to the coffee in our world-renowned laneway cafes to see why so many people love to call Melbourne home. Whether you are dreaming of returning home to your very own slice of this great southern land or seeking a sound investment, we help people like you buy smarter from overseas, everyday. No passport required. We are your expert eyes and ears in the Melbourne property market. Put you in the driver’s seat with our Member Login service, giving you access to property photos, floor plans and market appraisal reports. Empower you to make an informed decision with up-to-date advice on the latest research, trends and local market conditions. Save you time by sourcing and shortlisting properties in locations and with features that suit your lifestyle needs and investment objectives. Put you ahead of other buyers by sourcing ‘off market’ listings through our trusted network of developers and real estate agents. Save you money by negotiating the best possible purchase price and terms of settlement. Protect you from paying too much or purchasing in the wrong location by testing the claims of sellers against our in-depth knowledge of the local market. Support you throughout the purchasing process, taking the stress out of buying smart. Ranked as the world’s most liveable city for the last four years in a row by The Economist’s Intelligence Unit, Melbourne is a great place to live and invest. Offering superior education, stability, culture, and environment and infrastructure, it’s not surprising Melbourne is enjoying unprecedented population growth. For investors, this means there are strong market fundamentals for continued capital growth and excellent rental yields. For home buyers, you can expect all the pleasures and convenience of a first-class city to call home. I’m a foreign investor – what do I need to know? Whether you are looking to diversify your portfolio with a sound investment or looking for a secure place for your children to stay while studying or working in Australia, our buyer's agents can source the right property, in the right location, at the right price for you. The Australian Government requires that you obtain approval from the Foreign Investment Review Board (FIRB) prior to purchasing property in Australia. We can assist you with your FIRB application. Talk to our expert team today on 03 9883 8900. For further information on Australia’s Foreign Investment Policy visit www.firb.gov.au. What incredible, enthusiastic service and a truly exceptional team. Your competitors should be scared of you guys...you are better than most put together. 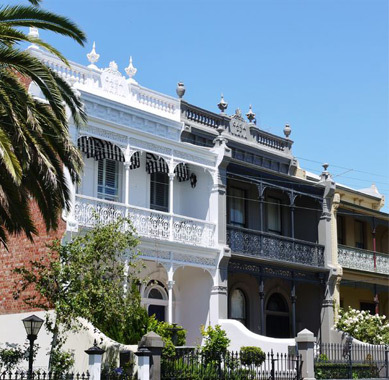 Trusted advice from Melbourne's property experts. With our in depth knowledge of the Melbourne market you can be confident in securing a great property at the right price. Whether you’re an Investor or a returning expat, discuss your needs with our expert buyer’s agents today.